Ever since we secured positions at a NGO in Tacloban, we have been dreaming about traveling through the Philippines. I’ve made countless Pinterest boards filled with gorgeous photos of the many islands and Jules has been scouting out the best surf spots. For some unknown reason, the Philippines seems to be off the normal tourist trail for backpackers traveling through Southeast Asia. The extra cost to fly over may deter people, but we think it’s a shame that this gorgeous country isn’t on most backpacker’s radar. Hopefully during our 6 months here we can show the world what the Philippines has to offer. 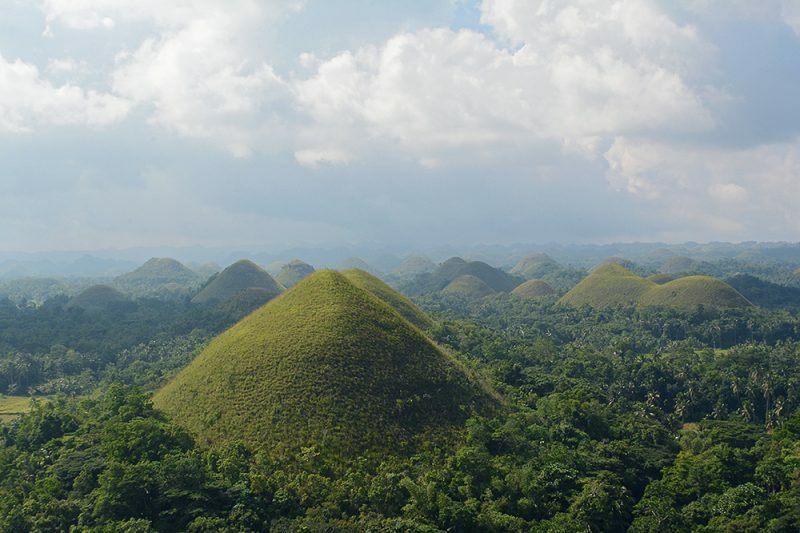 Here’s our bucket list for the 10 best places to visit in the Philippines in 2015. We look forward to checking all of these off our list and adding many more! 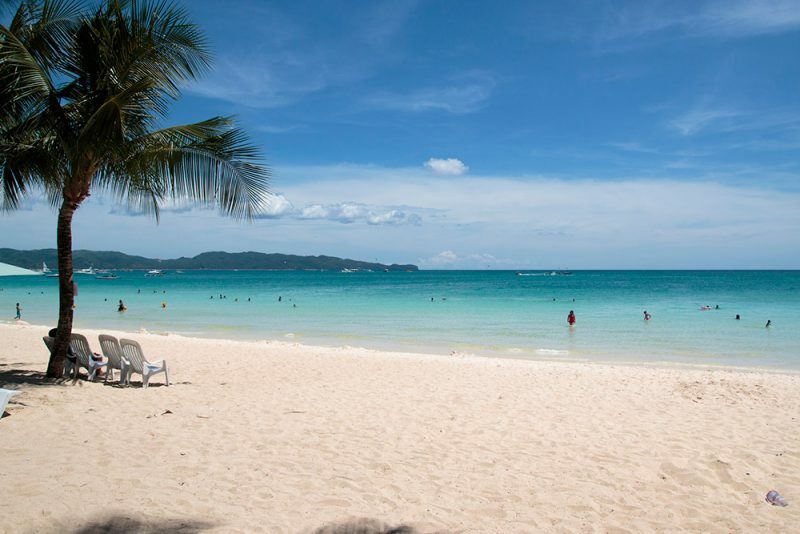 This small island just a short plane ride from Manila is exactly what you’d imagine in a Filipino island: white beaches, turquoise water and in 2012 it was voted best island in the world by Travel + Leisure magazine. What more could you ask for?! Unfortunately, the hills aren’t actually made of chocolate, nor do they produce any. They are a beautiful sight however, over a thousand hills that spread over 50 kilometers. They turn from a lush green to dry brown and that’s where they get their name from! 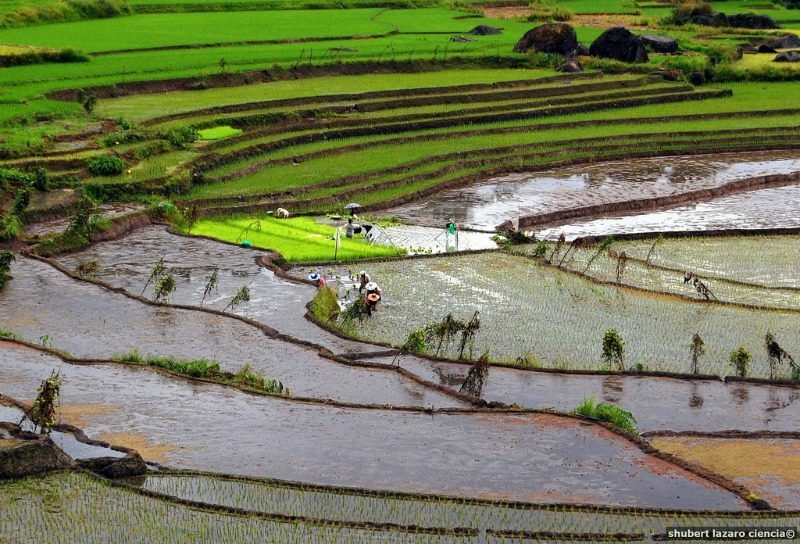 These gorgeous layered hills are not only stunning but use an intricate irrigation system which helps produce their organic rice. This site is considered by many Filipinos as the Eighth Wonder of the World. 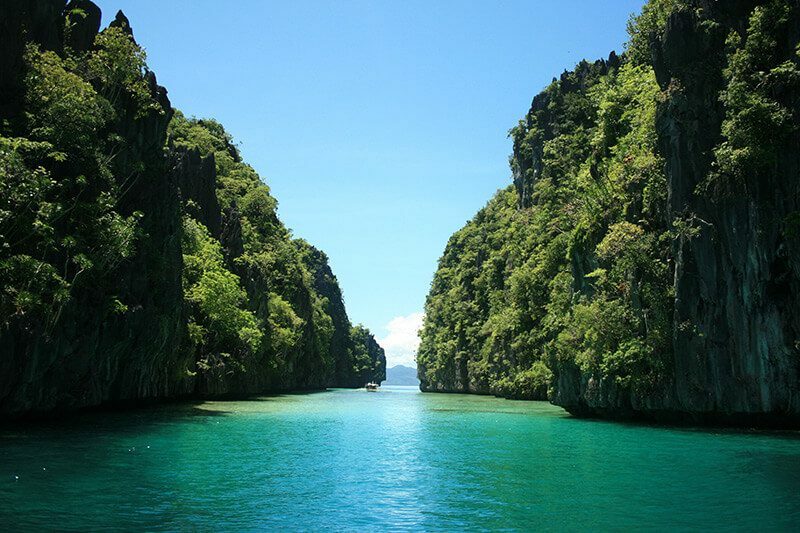 El Nido is a municipality in Palawan and one of the Philippines top tourist destinations. Full of gorgeous islands, bays and caves, there’s enough here to last you your whole trip. Not to mention some jaw dropping resorts for those that have a little extra jingle in their pocket. How many times have you seen an advertisement for a snorkel trip that is filled with photos of sea turtles and promises that you’ll see the most diverse and abundant sea life? And then you go and see…. some guppies and whole lot of seaweed. 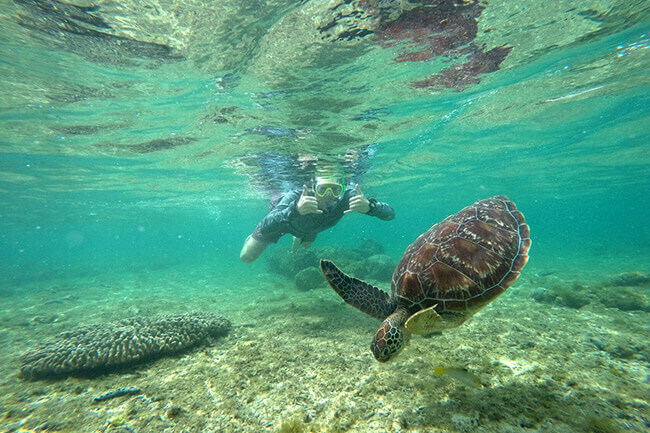 Well get excited because Apo Island is such a well preserved marine park that spotting sea turtles is actually very likely!